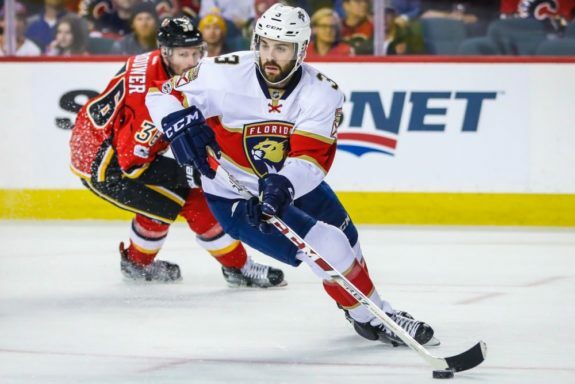 When the Florida Panthers signed defenseman Keith Yandle to a seven-year contract worth $44.5 million, he was expected to make an immediate impact on the power play as well as give the Panthers an offensive presence they lacked at the time. A year later, Yandle was fresh off a 41-point season with 18 power play points (PPP). Yet, as a team, the production fell short and left people wondering whether Yandle was the right man for the job. The Panthers ended the 2016-17 season with a 17% power play percentage (PP%), good for 23rd in the league. The year before, prior to signing Yandle, the Panthers had identical numbers with a 16.9 PP%, also good for 23rd in the league. When the skilled defenseman opted to sign with Florida before hitting the free agent market, an immediate improvement was expected but the lack thereof was concerning. His $6.35 million per season contract was a hefty price, especially for a defenseman, so coming into this season all eyes were on Yandle. Luckily, he has answered the bell. Ranked fifth on the team in points, Yandle trails only star forwards Aleksander Barkov, Vincent Trocheck, Jonathan Huberdeau and Evgenii Dadonov while being 17 points ahead of the second highest scoring defenseman, Aaron Ekblad. Through 66 games, Yandle has six goals and 40 assists (16 PPP) with 16 games to play. He has already surpassed his 41 points from his first year in Florida. The Panthers’ power play, although still not impressive, is at 20% and tied for 17th in the league, both improvements from the previous two seasons. It would not be right to only credit Yandle with the improvement but as the “quarterback” of the first unit, his success correlates to the team’s. Yandle’s presence this year has taken pressure off blossoming star Aaron Ekblad and the dynamic Michael Matheson. After only 21 points last season and a minus-23, Ekblad has improved to 29 points and plus-3 through 66 games. Matheson, perhaps the Panthers’ most under-rated player, has 24 points in 65 games after only 17 points in 81 games during his rookie season. The Panthers, in general, are a better team this season but the leadership and play of Yandle cannot be overlooked. With opposing teams focusing on countering Yandle rather than Ekblad, it has opened up opportunities for other players, allowing the younger guys to develop. 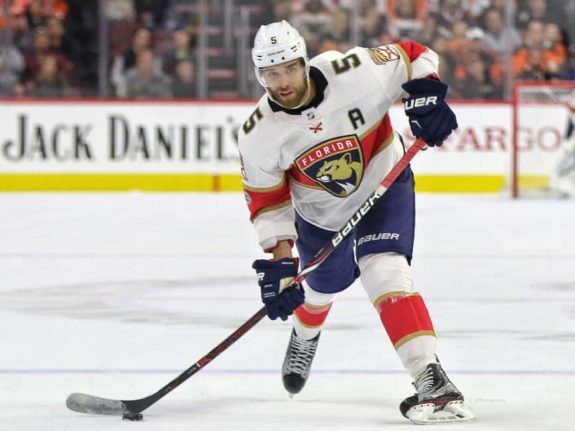 With some of the best young talent in the NHL, the Panthers needed Yandle to step into a leadership role left vacant by the departure of veterans Jaromir Jagr and Jussi Jokinen. 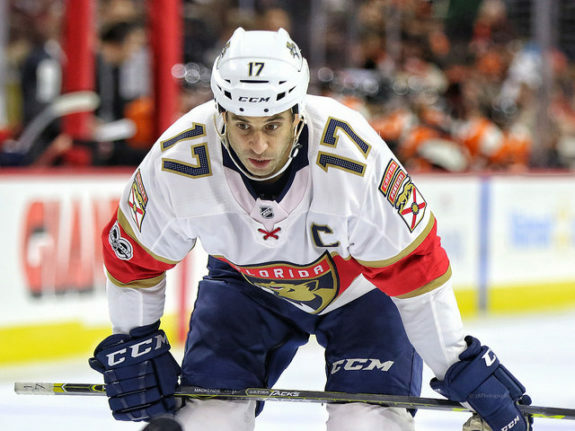 The roster has only five players not in their twenties: Roberto Luongo (38), Radim Vrbata (36), Derek MacKenzie (36), Micheal Haley (31) and Yandle (31). Other than Luongo, Yandle is the only core player that will remain in Florida long-term. Vrbata will depart through free agency at the end of this season and both MacKenzie’s and Haley’s contracts expire at the end of the 2019-20 season. Meaning, it is Yandle who will have to groom the Panthers’ young players and prospects, a role he appears to relish. 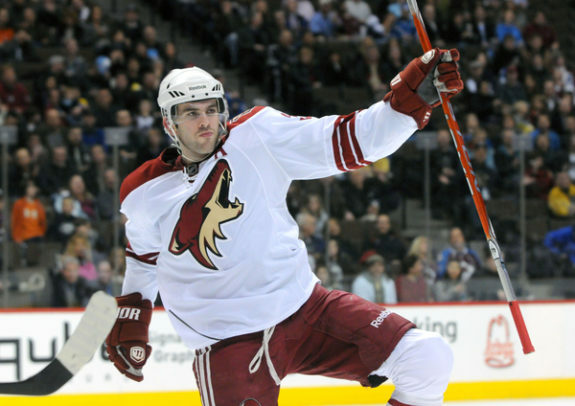 Since he entered the league in 2006, Yandle’s value has always been his offensive upside. Although not quite on the level of Erik Karlsson of the Ottawa Senators or Brent Burns of the San Jose Sharks, he has the same ability to create offensive opportunities from his own zone. Since 2009, the former New York Ranger and Arizona Coyote, has hit the 40-point mark in every season in which he played a full schedule. The only instance when he didn’t was the 2012-13 shortened season due to a lockout. With 16 games left to play, Yandle needs 14 points to hit the 60-point plateau, which would break his career-high of 59 points in 2010-11. Even if does not reach that mark, he remains on pace for his best season since 2013-14 when he had 53 points for the Coyotes. It’s the type of production the Panthers expected from the defenseman when they offered him a massive contract and Yandle is proving he was worth the investment. Perhaps what is most impressive this season has been Yandle’s progress defensively, an aspect of his game that has always been scrutinized. A combined minus-59 in the last four seasons, Yandle is currently plus-4, the best rating among Panther defensemen. Consistency is key in the NHL, and while he may not be capable of posting the same numbers as Karlsson or Burns, a puck-moving defenseman who will post 40-60 points per season has immense value. Now, let’s see whether his play carries them into the playoffs because, at this rate, it just might.